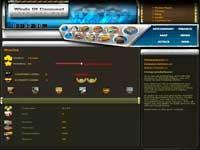 Winds Of Conquest (WOC) is a free browser ubased game. Winds Of Conquest offers an exciting experience of constructing your own company. In the game, you have to use your strategic skills in order to evolve your company and to secure it from your rivals.